Article 38: Selected 1970s Israel Air Covers Here are a few 1970s commercial covers from Israel. The three covers are mailed to New York. Article 55: Israel 1948 Doar Ivri First Issue Low Values I show here the low values of the first issue of Israel. Beside each of the six values, I show a CTO block of four. I also have a representative postal usage cover. Article 181: Israel Celebration Commemoratives Here is a sheet of commemoratives celebrating Jewish Holidays. 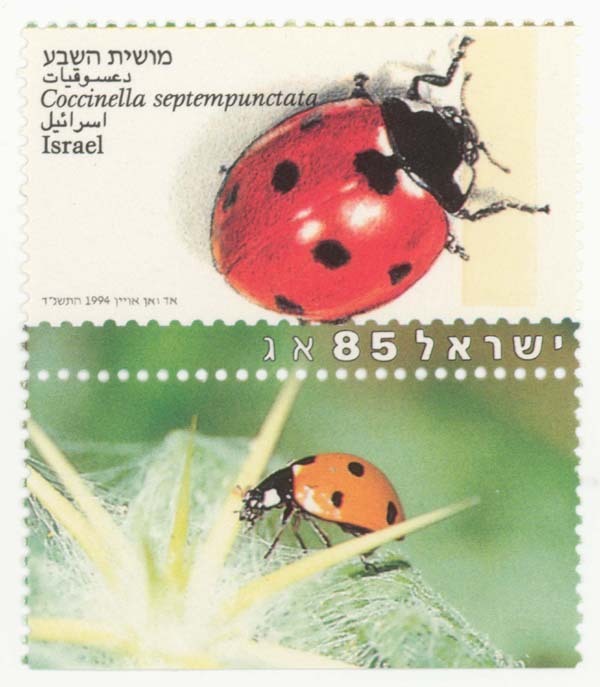 Article 378: Israel Insect Stamps These stamps are printed as a set with illustrated tabs (selvages).